Think of every shade of blue you can possibly imagine– Aqua, Azure, Cobalt, Powder, Royal, Sky, Turquoise, etc. The islands of Tahiti boast every color in that spectrum and a million more, with a remarkable natural beauty that words and pictures can’t begin to accurately describe. It’s truly a magical place that you really have to see and experience for yourself. All too often on our trips, “experience” becomes the operative keyword. Like most travelers, our time is severely limited, but we also don’t want to miss anything in a given destination. So we tend to stack tours and activities on top of one another so densely that our adventures become a Jenga-like tower of memorable experiences. That intense schedule frequently sends us crashing into utter exhaustion. 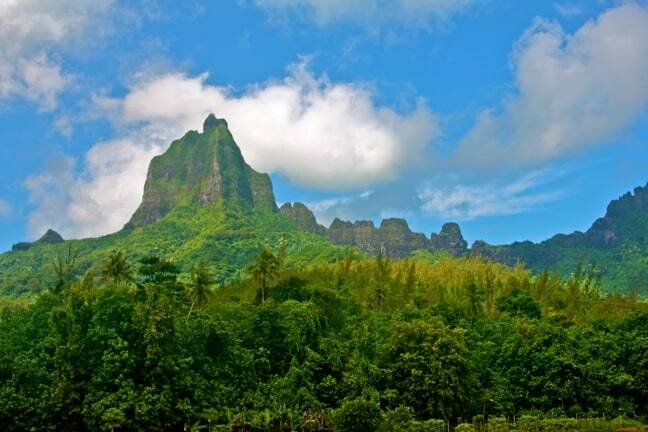 But, on a trip co-sponsored by the Four Seasons Resort Bora Bora and Tahiti Tourisme, we discovered that the islands of Tahiti require (and reward) a slower, more languid pace. 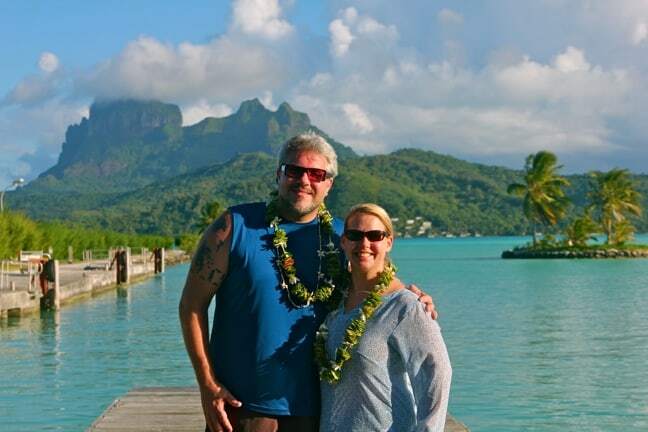 And while the concepts of “rest” and “relaxation” do not come easily for us, our time in Tahiti reminded us how to savor the sweet luxury of doing absolutely nothing at all. 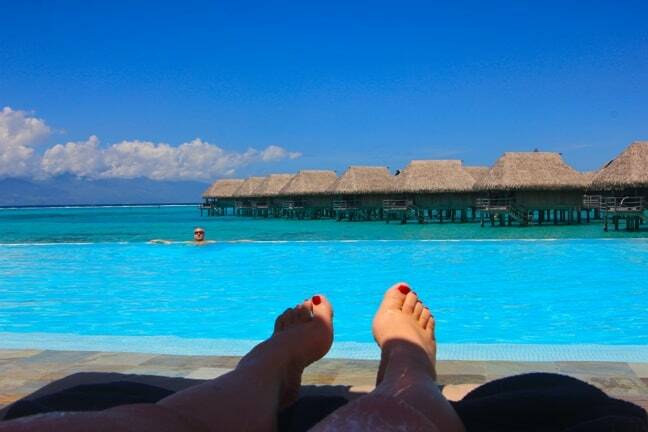 For three of our four days at the Sofitel Moorea Ia Ora Beach Resort, our itinerary could be easily summed up in just a few words: Sleep, swim, eat. Of course, “sleep” doesn’t quite describe the exceptional views we had from the bedroom of our over-water cabana. “Swim” doesn’t come close to summing up the experience of having a room located directly above a protected marine sanctuary, where you can snorkel with spotted eagle rays and a litany of colorful fish right off your back deck. And “eat” doesn’t do any sort of justice to the sumptuous French Polynesian cuisine the islands of Tahiti are known for. We’re big foodies (check out my interviews with Anthony Bourdain and Eric Ripert), and have had the pleasure of dining in some of the finest restaurants around the world. With their combination of fresh local ingredients (fish, fruit, coconut) and French cooking techniques, the food on the islands of Tahiti rivals that of any place we’ve traveled. Of course, we wouldn’t be GGT if we didn’t find some time for action and adventure. Although the beaches and in-water activities on Moorea and Bora Bora were everything we’d dreamed they would be (and more), we also had a great time exploring the islands on excursions we’ll be talking about in detail in future posts. The landscape of the islands of Tahiti was much more remarkable in person: Massive volcanic rock formations such as Mou’a Roa (a.k.a. the Bali Hai mountain from South Pacific), Mount Pahia and Mount Otemanu rise like foreboding castle spires above lush tropical jungle. In contrast to the well-manicured tropical gardens of the residential districts, the majestic peaks serve as a constant reminder that nature cannot be completely tamed. It was also on these excursions that we had a chance to meet the Polynesian people, from pineapple farmers at the Jus de Fruits de Moorea market and the elderly woman who runs the Moorea Tropical Garden to the community of artisans, craftsmen and performers who live and work in Moorea’s Tiki Village Cultural Centre. Gracious, welcoming and almost unfailingly good-humored, the people are a big part of what makes Tahiti a Polynesian paradise. When you combine all of these things– the slow pace, the gorgeous setting, the great food, the laid-back people– you begin to understand why the islands of Tahiti have such a reputation for romance. Although it took us a day or two to adjust to not working 12 hours a day or go-go-going all the time on a quest for new adventures, once we did, it allowed Mary and I to reconnect as a couple in ways we don’t often have time to do on our trips. 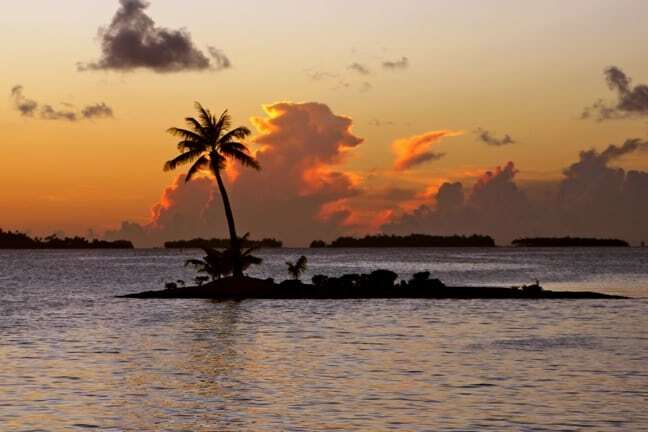 By the end of our time in Tahiti, we were content to sit on our deck at the Four Seasons, ordering breakfast and lunch from room service and watching the sky change from the reddish-orange hues of morning sunrise to the brilliant blues of midday. As much as we loved the resort’s marine sanctuary, which we swam in for hours every other day, we loved spending time luxuriating in the pleasure of each other’s company even more. The peacefulness was downright blissful. There are some trips that change your mind, such as our 2012 trip to the Middle Eastern nation of Jordan. Others, like the South African safari I took in 2000 (which inspired the ecotourism-focused concept behind GGT), change your heart and soul. But our 10 days on the islands of Tahiti changed my spirit, and I honestly don’t think it could’ve happened at a better time.